As a business owner, you do everything you can to protect your employees from potential dangers, but do you have workers compensation protection? Most business owners understand that workers compensation is important, but did you know that if you have employees, it is required by CA law for most businesses to have coverage? Having workers compensation coverage can save you and your business from costly lawsuits and employee issues. Workers Compensation Insurance protects your business AND your employees, who are oftentimes a huge part of the framework of a company. 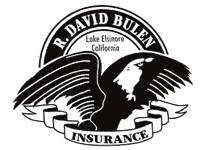 R. David Bulen Insurance Agency can provide you with a coverage program that is specifically tailored to meet your needs. We can also provide you with a free workers compensation insurance quote. You’ll be surprised at how much your business can save by choosing to place your policy with R. David Bulen Insurance!